- fitness, food, languages, money, books, gardening, etc, to find countless apps. However, here are some of my favorites! The first application you should know about is TweetDeck. TweetDeck allows you to sign up for all of their social networks so you can get all of the latest updates in one place. These social networks include Twitter, Facebook, and Foursquare. Therefore, a person is going to be able to update all of their statuses for all of their social networks with the press of one button. Plus a person is going to be able to get all of their social network notifications right on their screen without having to log in to their account. The second is Angry Birds Rio. Angry Birds Rio is one of the easiest games to learn how to play that is available for free. A person is going to have the ability to spend hours and hours at a time playing this game. This is because the game has 180 levels that a person has to go through before they get to the end of the game. The plot in the game is that the original characters of the game are kidnapped and taken to the city of Rio de Janiero so when they escape they are going to have to save their two best friends, Blu and Jewel. Evernote Ever heard of Evernote? 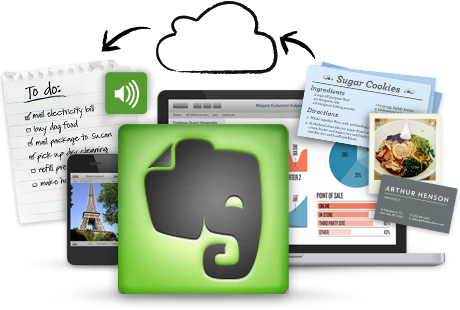 Evernote is one of the best productivity applications that a person can use. This is because the wide variety of different things that Evernote is going to help a person to do. The first thing is that a person is going to be able to add a reminder to their calendar in Evernote about any important meetings that they cannot miss. The second thing is that a person is going to be able to take notes during that meeting. This is because they can record the everything said in the meeting and add the recording to Evernote. The third thing is that a person has the ability to create memos inside of Evernote. Flickr is a easy way for a person to take all of their pictures and share them with another people. People can make their pictures look great because all of the different options that comes with this application. A person is going to need to have an account with Flickr in order to use this application. Plus a person can use this application to share their pictures in Twitter, Facebook, and email. Therefore, all of the pictures that a person takes with their cellphone is going to look even better if they have edited them with this program. Slacker Radio is an online radio station you should tune into ASAP. There are actually a variety of different radio stations on it, so there is going to be something for everyone to listen to. Plus the person is going to have the ability to skip a certain song if they do not like it. This is something that a person is not going to be able to do with a regular radio station. This application is free but if a person is wanting to enjoy some of the extras like full albums and unlimited skips, they will have to pay for those extras.